Tourism Kingston and the Kingston Yacht Club are pleased to announce that Kingston will host the International Detroit News Ice Yacht Racing Association (IDNIYRA) World Championships and North American Championships from January 25-31. 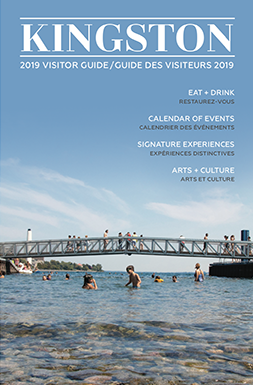 Over 100 participants from up to 15 countries including Canada, USA, Poland, Germany, Sweden, Finland, Russia and France are expected to attend the championship events which will take place on Lake Ontario with event headquarters at the Kingston Yacht Club, located at 1 Maitland Street. Each year, the location for the IDNIYRA Championships is rotated between Europe and North America, with the North American location rotating between Eastern, Central and Western Regions. Kingston was determined as a location for the 2015 IDNIYRA Championships due to its location within the North American Eastern Region and its available ice, which is required to be smooth and free of snow. A modern ice yacht is made of a single-piece backbone the entire length of the boat, and a runner-plank upon which it rests at right angles, the two forming a kite-shaped frame. 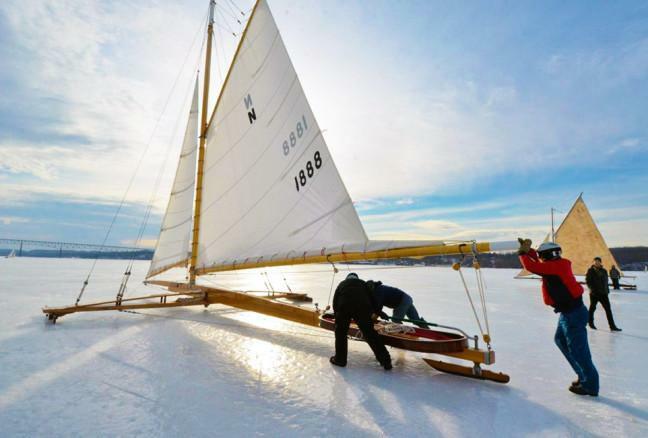 Ice yacht racing involves an ice boat comprised of a hull attached to a perpendicular cross piece called a runner plank, with three runners attached to the boat, one on each end of the plank and at the front end of the hull (bow). The race course consists of two markers anchored to the ice and set approximately one and a half miles apart, directly parallel to the wind direction. Participants are required to complete the length of the course three times to finish the race. Ice yachts are wind powered and can reach speeds of up to five times the speed of wind. The economic Impact from this event is estimated to be $225,000 for the seven day event. Kingston will also host the IDNIYRA Canadian Championships on February 14-15. For more information please visit www.kingstonyachtclub.com.